“There is currently no action against 1MDB. 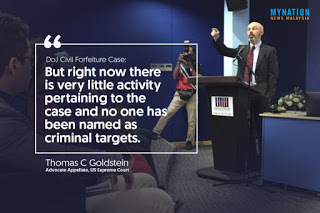 Only against properties thought to have been procured using money belonging to 1MDB,” said Thomas C Goldstein, Advocate Appellate, US Supreme Court said when asked about the civil forfeiture action against 1MDB. 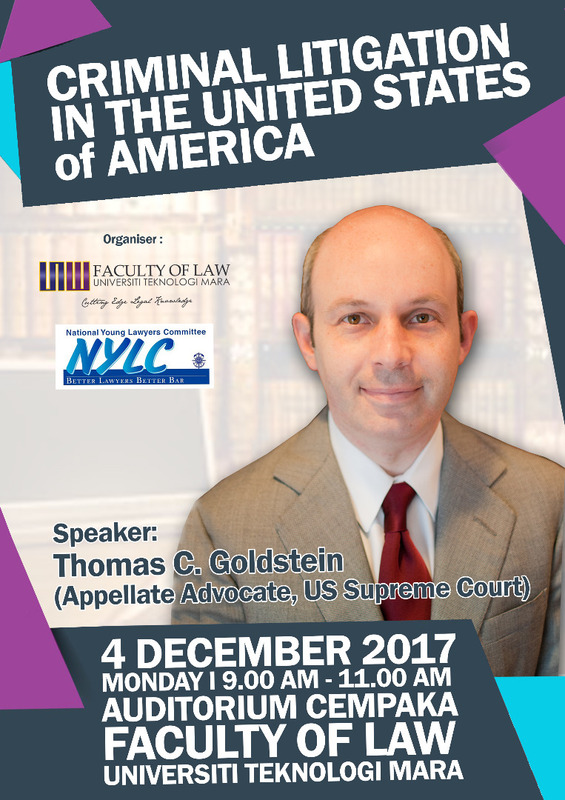 Tom Goldstein was answering question raised during his talk on “Criminal Litigation in the United States of America” at the UiTM Faculty of Law today. He said that based on the US Constitution, no one should be deprived of their assets without due process of the law, and all due processes of the law must have a hearing concluded before assets can be forfeited. “The DoJ, based on the complaint, is just tracing the money and think it may be linked to 1MDB. Right now, there is no suggestion of any criminal target,” he added. Tom Goldstein is one of the US’s most experienced Supreme Court practitioners and his representations span virtually all of the US Federal Law. "Sebenarnya tiada sebarang tindakan undang-undang diambil oleh DOJ terhadap 1MDB. Sebaliknya hanya ke atas aset-aset yang disyaki telah diperoleh dengan menggunakan wang milik 1MDB." 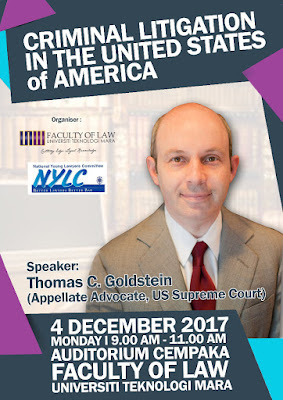 Tom Goldstein datang ke UiTM untuk memberi ceramah akademik tentang Litigation di America tetapi yang hadir berminat betul hal isu 1MDB. Lain-lain isu selain 1MDB pun turut dibincang. Nampaknya Spinkini berusaha alih pandangan dengan memutarbelit. K7L : Tak percaya jugak?..